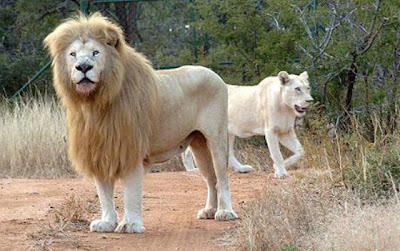 At the Timbavati Game Reserve next to Kruger National Park, in 1975, actual sightings confirmed the existence of this mysterious cat. Earlier, rumors about the white lion spread from South Africa all over the world for centuries. 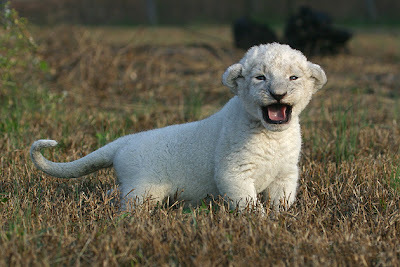 They have difficulties in catching their prey and they are extremely vulnerable to hyena attacks. 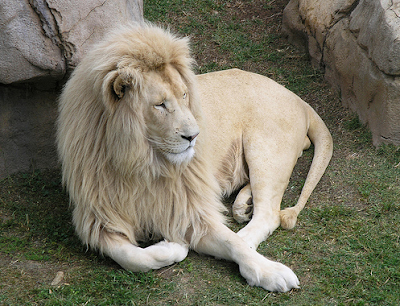 The mortality rate of white lions is quite high, although they are provided with the best living conditions. 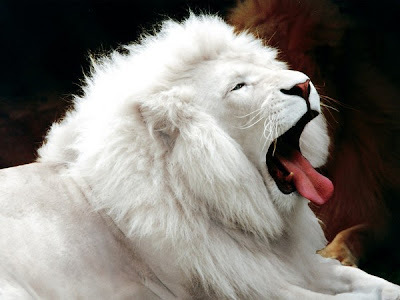 The white color is explained by a rare color mutation, namely a recessive gene known as chinchilla or color inhibitor, perpetuated by many zoos in the world. 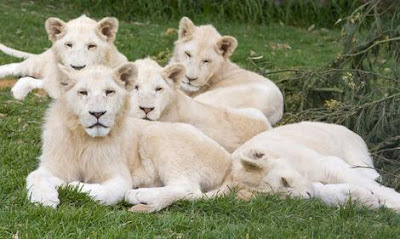 The population of the white lion is not exactly known but the most recent count was in 2004, showing that 300 were alive at the time. 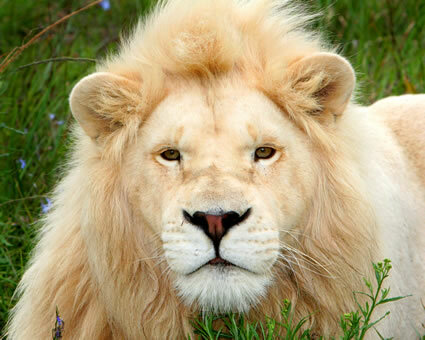 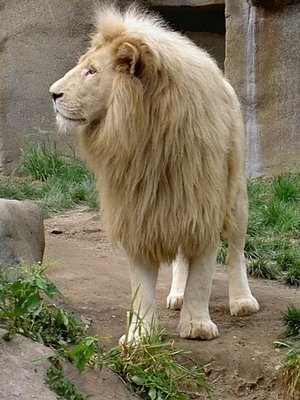 White lions are a rare breed of lions found in select reservations in South Africa. 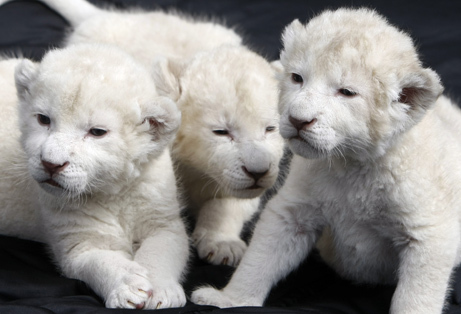 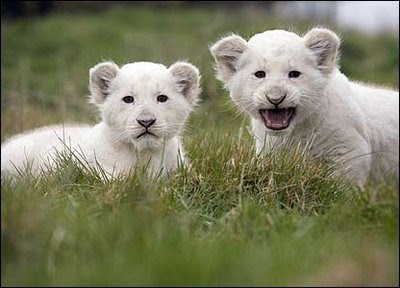 A white lion cub will typically go for around $140,000.